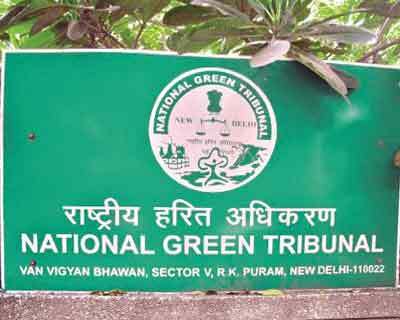 New Delhi: The National Green Tribunal (NGT) directed an AIIMS panel, formed by the Centre after a chemical spill at Tughlaqabad depot led to hospitalization of over 450 school children, to submit its report on the impact of the incident. It also asked the Ministry of Environment and Forests (MoEF) to state whether such containers carrying toxic material should be permitted in Tughlaqabad which is located in the heart of the city. A bench headed by NGT Chairperson Justice Swatanter Kumar directed the panel of experts led by Dr Y K Gupta, the head of pharmacology department at AIIMS, to mention as to who all were affected from the leakage and whether any person was suffering from any serious illness after the spill. The ministry “shall also clearly state whether any vehicle should be permitted in the area which is surrounded by residential population and offices and why location of the depot not be changed to any other appropriate place…,” the bench said. “We direct all the parties in the case to specifically state whether the leaked substance was covered under environmental laws and Hazardous Chemical Rules, 1989 or not,” it said. The expert panel of All India Institute of Medical Sciences (AIIMS) had earlier said that the residents of the Tughlaqabad area were “sitting on a (ticking) bomb” and opined that the inland container depot should be relocated. The green panel also impleaded Customs and Excise department as party in the case and directed them to file their reply on the issue before May 29. It also directed officials from MoEF, Central Pollution Control Board, department of industries in Haryana and the state pollution control board to conduct a joint inspection of the Sonepat-based agro-chemical company Crystal Crop Protection Pvt Ltd which was the consignee of the leaked 2- chloromethyl- 5(chloromethyl) in the case. During the hearing, advocate I G Kapila, who has been appointed as amicus curiae to assist the tribunal, said that there is total lack of coordination among the authorities with regard to cargo handling at the container depot. Advocates Sanjay Upadhyay and Salik Shafique, who have filed a plea seeking shifting of the container depot, referred to the AIIMS report and said that the tribunal should proceed on its basis as it has very categorical observations on the whole incident. On May 8, the NGT had issued notices to the MoEF, Delhi government, Railway Board, Container Corporation of India and Delhi Pollution Control Committee and asked them to file their replies within a week after taking note of the incident on its own. At least 450 girl students of the Rani Jhansi School and Government Girls Senior Secondary School, run by the city administration, had to be hospitalised on May 6 after toxic fumes spread due to the chemical leakage. Most of the students, who complained of irritation in the eyes and breathlessness, were discharged after a few hours but a few had to be kept under observation.